We round up the latest Liverpool news and transfer rumours on Thursday, as attention slowly turns to next week’s clash with Leicester. 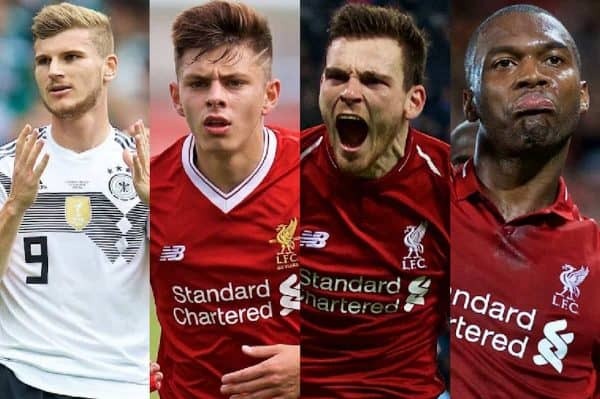 Several Reds may not make it to February! A slight delay on proceedings. The club excelling both on and off the pitch. Intriguing New Deal for Werner? 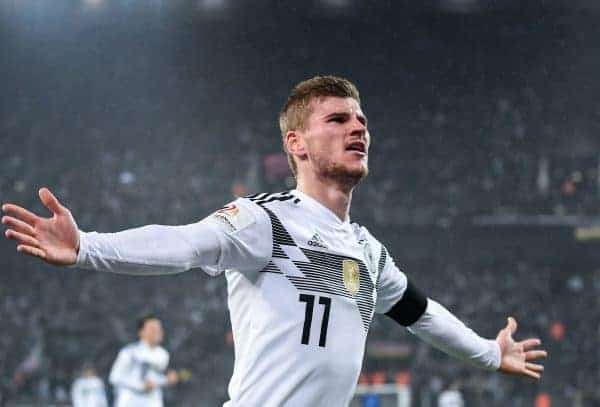 RB Leipzig are trying to persuade Liverpool target Timo Werner to sign a new contract, according to Bild. The Germany international is expected to leave the Bundesliga club at the end of the season, but Leipzig want to put a £61 million release clause in a new deal. The clause is only believed to involve 10 heavyweight teams who are monitoring his progress, with Liverpool one of those included. It would mean Leipzig receive the kind of fee they believe Werner’s talent justifies, rather than having to let him go for less in the summer. His current deal expires in 2020. Adam Lewis has been touted as Andy Robertson‘s deputy at left-back next season, with Alberto Moreno set to move on. “He is always coming over to me and helping me out. “I know Trent well and Andy is close to him as well. Andy is a good person to have around because he gives you the advice you need which is great for me playing in the same position as him. “I look up to him and think what can I do better because he plays every game for our first team. I think to myself ‘what do I need to do to get the chance to do what he is doing for us’? 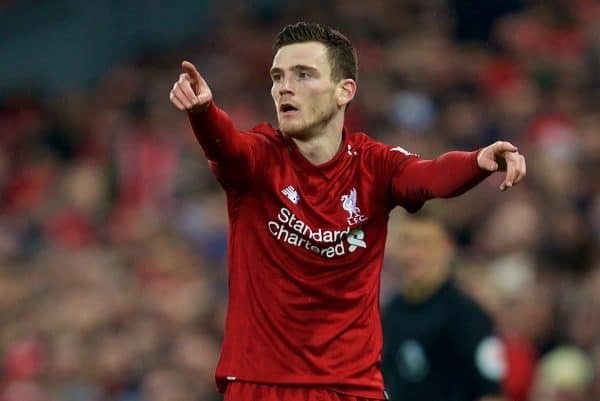 Robertson has been one of the most significant signings of the Jurgen Klopp era, epitomising everything good about the club, from his wonderful ability to his likeable personality. According to Corriere dello Sport, via Sport Witness, Liverpool are interested in signing Brescia teenager Sandro Tonali, likened to Italy legend Andrea Pirlo. The Serie B club’s owner Massimo Cellino, formerly the controversial owner of Leeds, claims the Reds have “called” him about Tonali’s availability. The report does add that the rumoured call took place “a while ago,” however, so it may be a rumour to take with a pinch of salt. Tonali has won 11 caps for Italy U19s. Liverpool have signed defender Billy Koumetio from US Orleans Lorient, the Liverpool Echo have confirmed. The 16-year-old has been in the city this week finalising a deal, as the Reds add yet another exciting youngster to the academy. 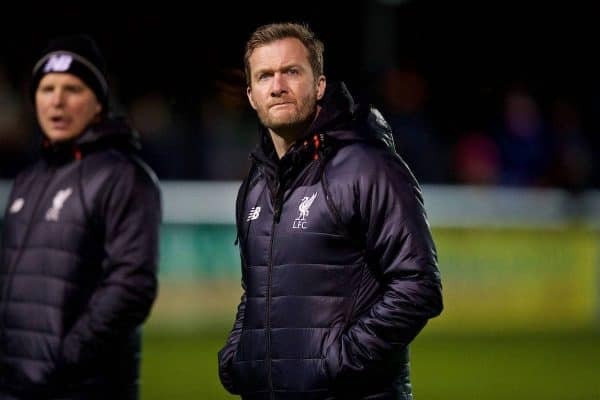 Koumetio impressed during a trial with the Reds back in November, and follows the likes of Ki-Jana Hoever and Bobby Duncan in joining the youth ranks at Kirkby in the past year. Daniel Sturridge may only be 29, but he already appears to be working towards a different career for when he hangs up his boots. “[Music] is not transition for me because I’ve been involved since I played for Chelsea, so nearly eight years ago. “Music has been a part of my life since I can remember, growing up in Birmingham and just having different cultures around me and I have always loved music so it’s important for me to enjoy it and be involved. “I’ve always loved music but the business side is what’s interesting for me as well. “There are a lot of people that want to be artists that don’t necessarily have the backing and support and so that’s what I’m trying to do. Expect to hear news of Moreno’s move into the Segway market tomorrow! The Mirror claim that Liverpool are eyeing up a move for Nicolas Acevedo. The 19-year-old has reportedly had scouts from the Reds and Man United watching him in the South American Under-20 Championship in Chile. Arsenal, Chelsea and Norwich are also keeping tabs on his progress. Capable of thriving in both and defence and midfield, Acevedo ironically plies his trade at Liverpool of Montevideo currently.